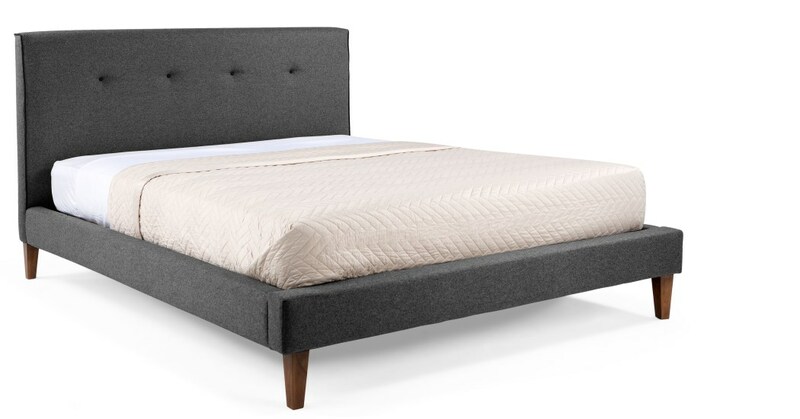 A modern design with headboard buttoning to add just a touch of traditional charm. The piping detail adds a sophisticated finish. The headboard is upholstered with padding and covered in a durable woven fabric, then finished with four contrasting buttons. The frame is crafted with curved slats for stronger support, while the solid birch legs will keep it sturdy and reliable for years to come.